As a history and Baltimore lover and treasurer of the Baltimore Architecture Foundation, Morris has been a Doors Open Baltimore volunteer since its first year. When asked to share his most memorable DOB volunteer moment, Morris said, “That was last year when I was greeter at the Lovely Lane United Methodist Church. Donald Kann, president of Kann Partners, was the architect who helped on the recent renovation of the church. He was giving me a personal tour when we got to the main room with this magnificent mural on the ceiling. The story went that the ceiling was the actual celestial view from the night the church was opened back in the 1800’s. They had gone to the space observatory in Washington, D.C. to recreate the positions of all the stars and planets from the night. What an amazing detail,” said Morris. Sumayyah became a Doors Open Baltimore volunteer after her ARCH 101 professor at Morgan State University offered to give extra credit to students who volunteered during the event. “I decided to volunteer with Doors Open Baltimore because I was looking for different ways to learn about Baltimore,” said Sumayyah. She believes it’s important for volunteers to seize this unique opportunity to really be involved and find ways to add value to the experience. David has served as a Doors Open Baltimore volunteer since the event’s inception in 2014. The thing he enjoys most about this volunteer experience is meeting and chatting with the people who visit the Doors Open Baltimore Information Hub before heading out on their DOB adventures. “Our volunteers get the opportunity to be a part of bringing unseen areas of Baltimore to people…and letting them see what’s going on,” said David. Auni attended Doors Open Baltimore for the first time in 2015 and enjoyed it so much that she decided to become a DOB volunteer the following year. Within the few hours spent volunteering at the Duchess of Windsor Museum at the Adele Corner House, Auni met a significant range of curious visitors and many preservation professionals. She stated that the networking opportunities for DOB volunteers are endless. 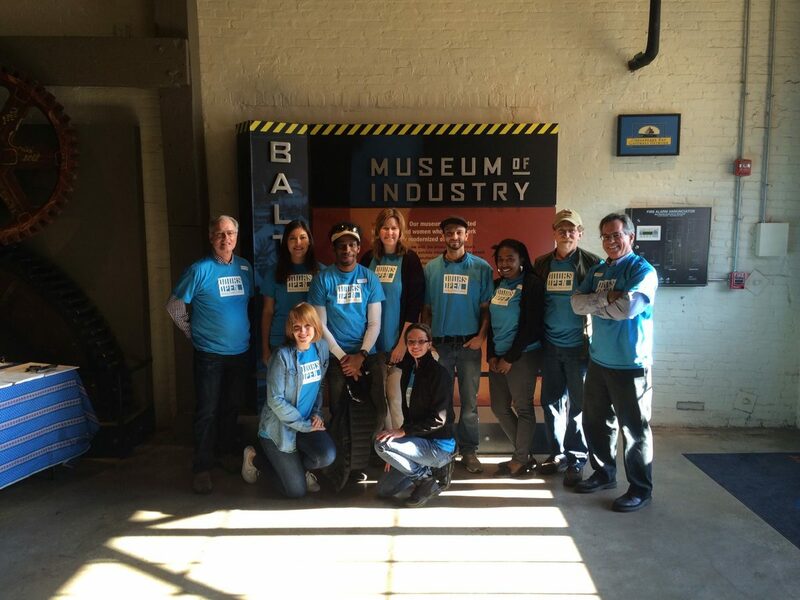 Auni recently landed a new position with the Baltimore Museum of Industry which includes coordinating the museum’s role as a Doors Open Baltimore participating site. “While the museum has participated in previous years, but we’re delighted to host a workshop for Doors Open Baltimore 2017 on “How to Read a Historic Building” with architect Tom Liebel,” said Auni.